Nintendo has announced that Luigi’s Mansion will have a two-player co-op mode and amiibo support on Nintendo 3DS, news that was shared in this week’s Nintendo Direct. Two players that both own the game can team up to brave the mansion together, or, if you only have one copy between you, Download Play will let you both take on the game’s spooky bosses in the Gallery. You can also now scan amiibo in Professor E. Gadd’s lab. 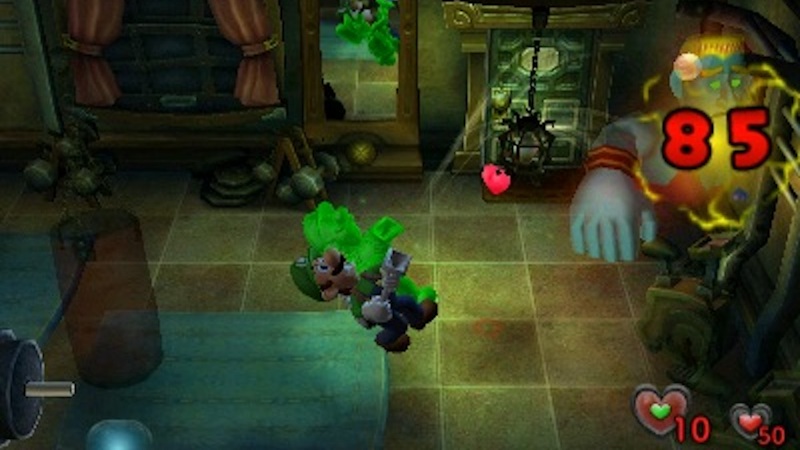 The Boo amiibo will reveal where the mischievous ghosts are hiding in the mansion, or, with the Toad amiibo, healing Luigi whenever you talk to Toad in the game. The Luigi amiibo will also let Polterpup revive you when you lose all your health, and there is one more compatible amiibo that is unknown at this point. Luigi’s Mansion will release exclusively for Nintendo 3DS in North America on October 12th and in Europe on October 19th.